Mumbai: Bollywood star Aamir Khan, who has been actively advocating for water conservation in Maharashtra, believes that if a cause is not genuine, presence of celebrities cannot motivate people to join any initiative. The 53-year-old star said success of a campaign depends on its acceptability by the society. "I feel the idea has to have merit. The concept is designed by Satyajit Bhatkal (director of 'Satyamev Jayate') who is the CEO of Paani Foundation. The concept was tried three years ago when we started in three talukas. If the concept doesn't have merit, then no matter how many celebrities push it, it won't work," he said in an interview here. "So, the fact that it has worked, indicates it has merit. And certainly there are celebrities like me or from Marathi cinema, who have been actively pushing it, working with people," he added. 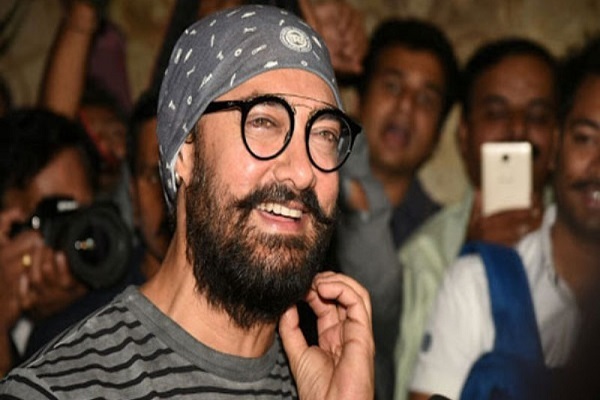 While Akshay Kumar has promoted sanitation and menstrual hygiene through his films, Aamir believes apart from making movies on such social issues, it is also necessary to work on the ground level. "We are doing much more than that. We are working on ground with the villagers. We are doing a television show, which comes every week in Marathi, because essentially we are addressing the Marathi audience. So, I don't think a movie can do any more... We are doing much more than what a movie could do," he said. Aamir shared his elder son Junaid is helping him with the work related to the Paani Foundation. "Junaid is working and Ira (daughter) is not in India. She is abroad. But Junaid is very much working in Paani foundation and he sits in the office only."